Re/Max is selling a delightful three-bedroom semi-detached residence located in the popular residential development of The Meadows, Ballybrit. 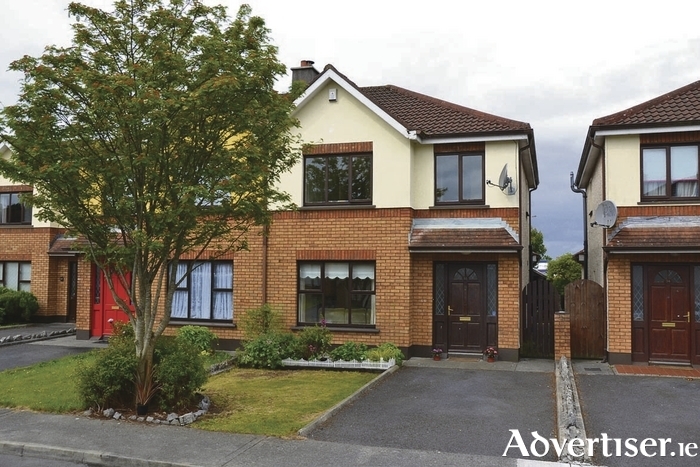 The development is considered one of the premier residential estates on the east side of Galway city. No 55 The Meadows is presented in turnkey condition throughout and is tucked away in a quiet area to the rear of the estate. Having been modernised and insulated recently, No 55 now boasts a C3 BER under BER no 101119642. The accommodation comprises a welcoming entrance hall, a lounge room with feature open fireplace and back boiler, and an open plan kitchen/dining area with modern units. A separate utility room completes the accommodation on the ground floor. Upstairs the accommodation boasts a family bathroom and three bedrooms (two double, one single ), with the master en suite. Outside the property offers off street parking to the front, side access, and private rear garden with lawned area. The property is ideally located on an excellent road and bus network and is within moments of The Clayton Hotel, Briarhill shopping centre, and a host of industrial parks on the east side of the city. No 55 would be an excellent investment opportunity or an attractive turnkey home for families and first time buyers. Viewing is highly recommended. Contact Fergal Hynes at RE/MAX 086 3987181 or visit www.remaxgalway.ie for more information.